Looking for pop songs violin sheet music to download? Since you’re here, I’m sure you must be searching for some pop songs violin sheet music so that you can play it on your own. The pop songs violin sheet music below are the ones I have found online, and the ones that you can even find them yourselves. But I have picked out the popular ones which I have played out myself. Click on the songs that you like, and download the sheet music for your own playing! River Flows In You is a popular piano piece by Japanese composer Yiruma. The song is really famous, and it has been re-arranged by popular dancing violinist, Lindsey Stirling. Here am I playing the song on my church’s 3rd anniversary celebration. Click on the image to bring you to the page of River Flows In You. It features the recording of the song of my live performance, and also the link to get the violin sheet music of River Flows In You (Lindsey Stirling Version)! You Raise Me Up is a song by Josh Groban. The song is famous, and although has been written many years ago, it is still one of the favorites for many people. Click on the image to bring you to the download page of You Raise Me Up Violin Sheet Music. I have recorded this song based on the violin sheet music. You Raise Me Up violin cover is available too. A Thousand Years is a famous love song by Christina Perri. It is originally a song, but it has also been played by many instruments. Hence, you can also make your own A Thousand Years on violin. Click on the image to bring you to the download page of A Thousand Years Violin Sheet Music. I have recorded this song based on the violin sheet music. 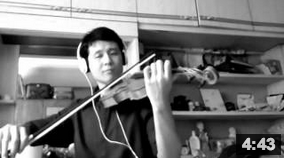 A Thousand Years violin cover is available too. Rolling In the Deep is a popular song by Adele. Many people love this song because of its beats and rhythm, and of course its lyrics. Yes, it can be played on the violin too! Click on the image to bring you to the download page of Rolling In The Deep Violin Sheet Music. I have recorded this song based on the violin sheet music. 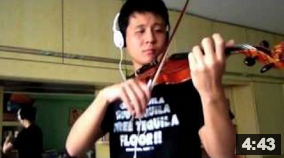 Rolling In The Deep violin cover is available too. Sad Romance is song by Thao Nguyen Xanh. People loved this song because it’s an emotional one, and gives people a sad feeling when they listen to it. It is said to be featured in Final Fantasy X too. Love Sad Romance? Click on the image to bring you to the download page of Sad Romance Violin Sheet Music. I have recorded this song based on the violin sheet music. 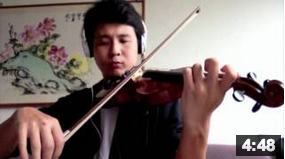 Sad Romance violin cover is available too. Looking For More Pop Songs Violin Sheet Music? I’m sure there are some violin sheet music of pop songs that you cannot find here. What are the other violin sheet music that you hope to see here? Let us know in the comments and I’ll try my best to source it! 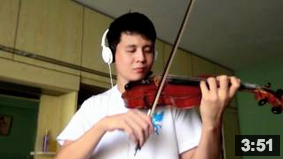 Searching for Pop Songs Violin Cover too? If you have downloaded your violin sheet music, but want to hear how the song is played out on violin, you can check out some of the violin covers I did over at ‘Pop Songs Violin Cover‘. Enjoy! Hey jesus, I usually find the background accompaniment from YouTube! You can search like this…”song name + instrumental/karaoke/background music”. Example, like this “Rolling in the Deep instrumental” “Rolling In the Deep background music”. That’s how I find all my music background songs. Hope it helps! Gracia! Hi! I really like fan-made songs, especially “Supernatural” by Ken Ashcorp. 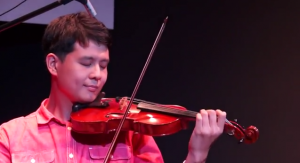 Do you think you could make a violin cover and sheet music for that song? If you can, Thanks! Hi Abbie, let me check out that song! If possible, I might do a cover for it . Thanks for recommendation! Are there any free violin pop sheet music websites.